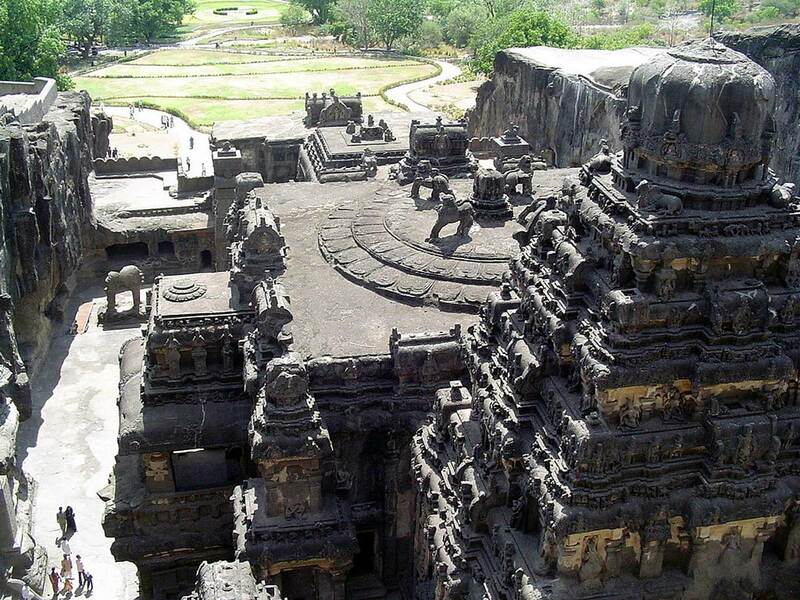 Ellora is an archaeological site 29 km (18 mi) north-west of the city of Aurangabad in the Indian state of Maharashtra, built by the Rashtrakuta dynasty and Yadav. 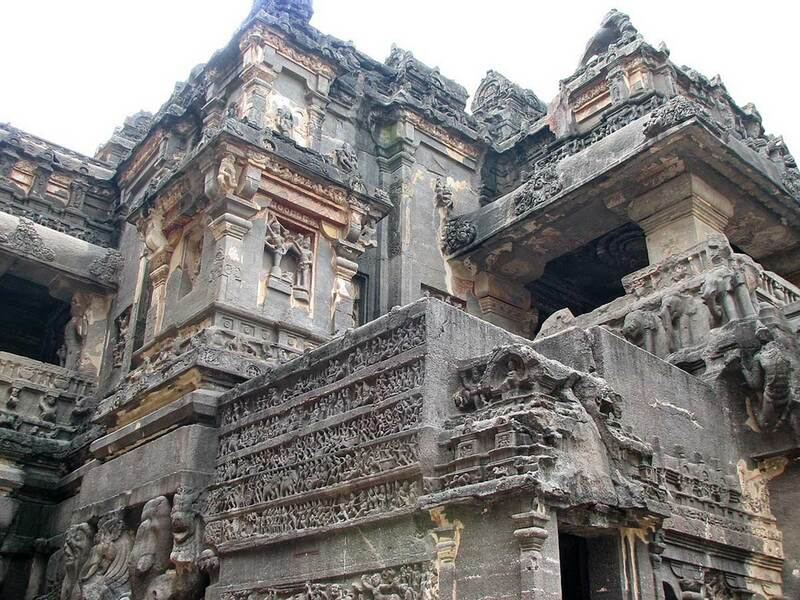 Well known for its monumental caves, Ellora is an UNESCO World Heritage Site and forms one of major tourist attraction in Marathwada region of Maharashtra Ellora represents the epitome of Indian rock-cut architecture. 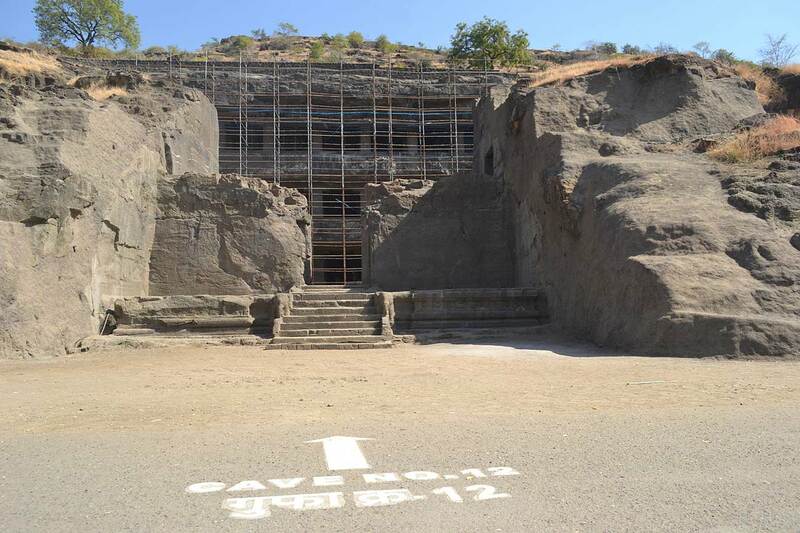 The 34 "caves" are actually structures excavated out of the vertical face of the Charanandri hills.Hindu, Buddhist and Jain rock-cut temples and viharas and mathas were built between the 5th century and 10th century. 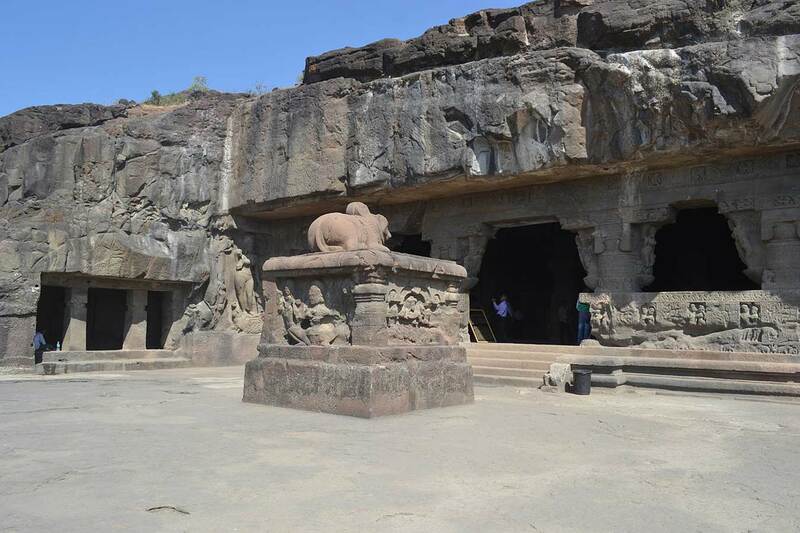 The 17 Hindu, 12 Buddhist and 5 Jain caves, built in proximity, demonstrate the religious harmony prevalent during this period of Indian history. It is a protected monument under the Archaeological Survey of India. 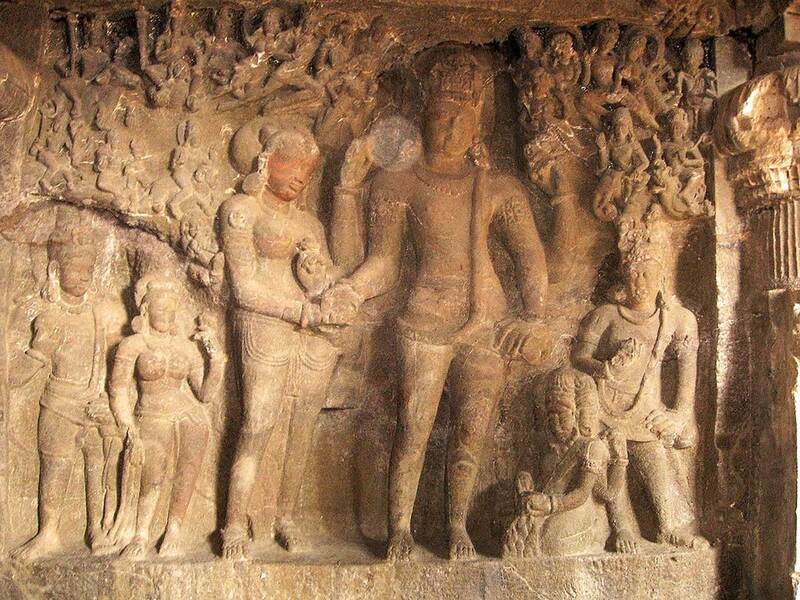 Kailasa Temple Was Carved Out of One Rock from the Top Down! 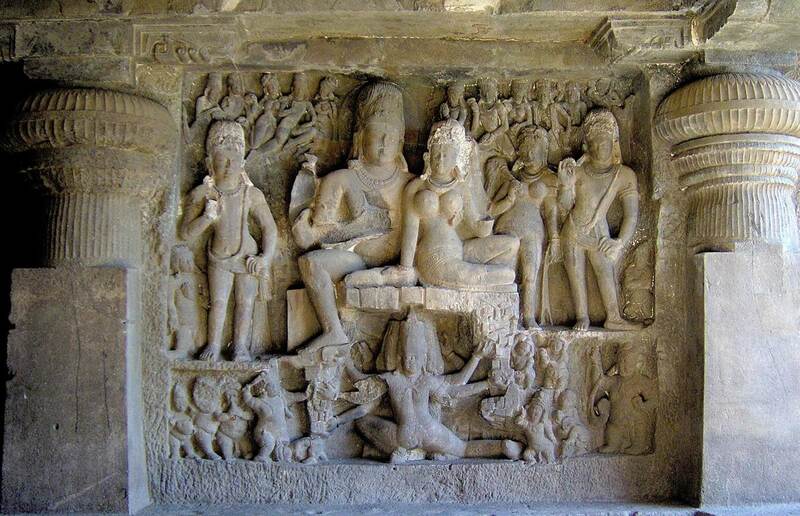 Read more about Kailasa Temple Was Carved Out of One Rock from the Top Down!